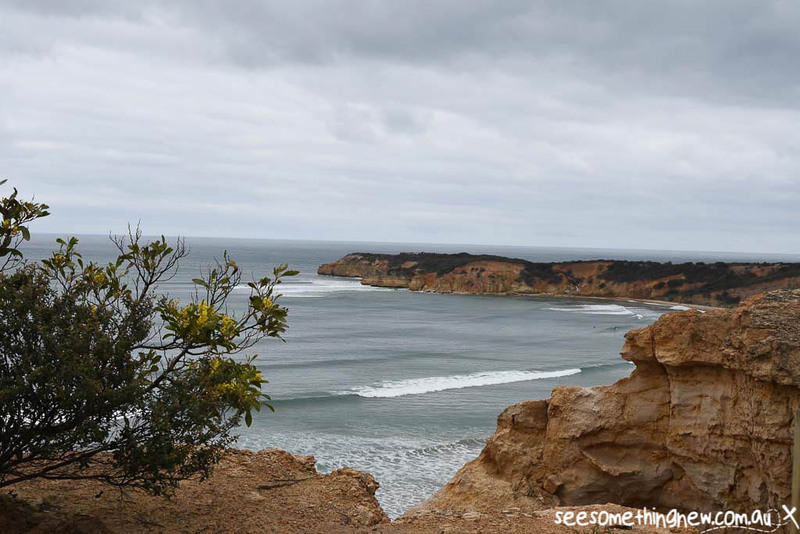 The Surf Coast Walk may not (yet) have the fame of its bigger sister the Great Ocean Walk, but it offers a beautiful coastal hiking experience in a very accessible location. 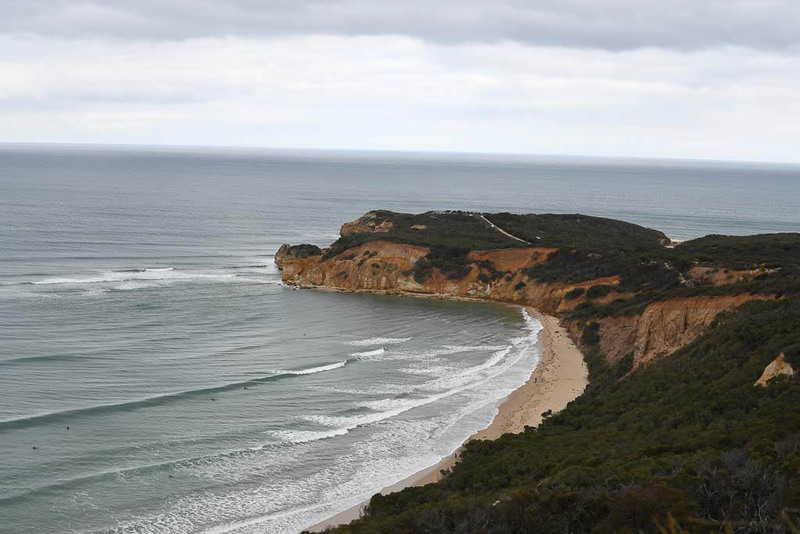 The Surf Coast Walk is comprised of 12 sections, which range in length from the flat 1.6km waterfront & wheelchair accessible track in Torquay to the 8.2km’s of spectacular bush and clifftop views on sections near the Great Ocean Road. 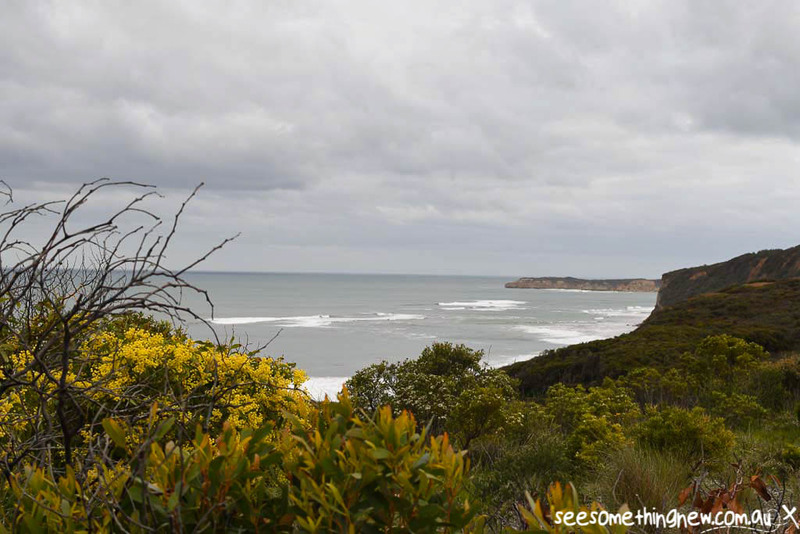 You can make your walk any length by combining your chosen sections of bush and beach view tracks up to the full 44km of the Surf Coast Walk. 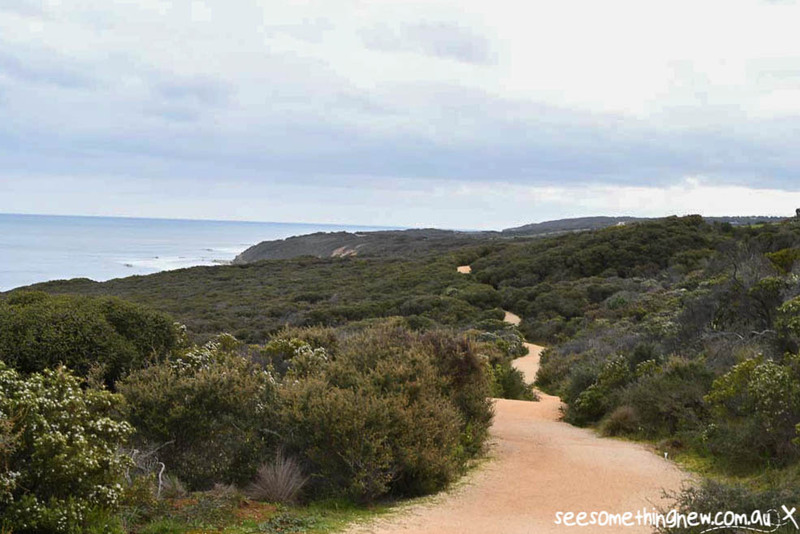 Easily accessible from Torquay, Anglesea and Aireys Inlet, the most popular way to experience the Surf Coast Walk is by hiking individual sections as an all day bush walk or short beach view stroll. You can walk in either direction so if you prefer one way walks like me, you can do a car shuttle with 2 cars or catch a bus or taxi to the start of your walk. 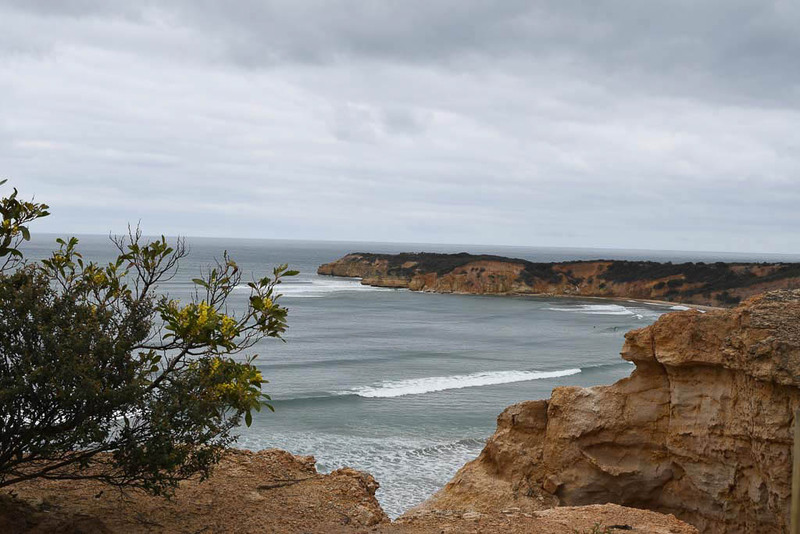 Alternatively do the whole Surf Coast Walk as a multi day hike. 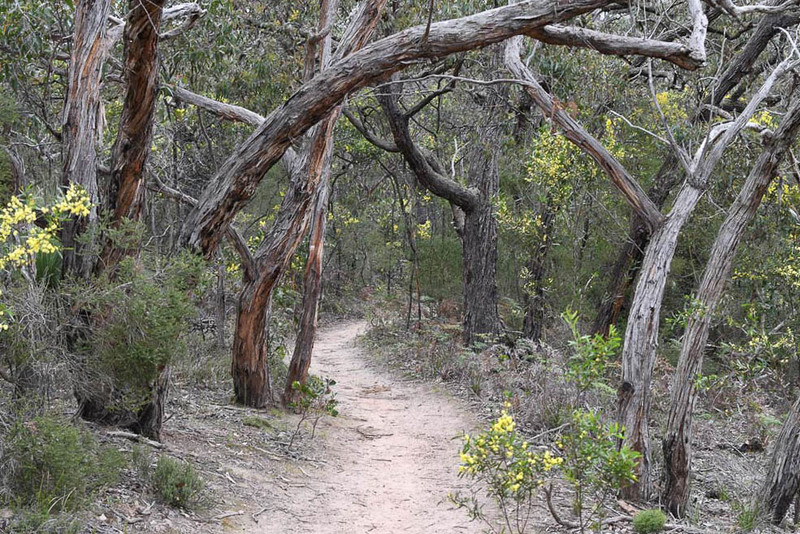 As your overnight stops are in towns, its a great option for beginner multi day bushwalkers. You can camp in the Caravan park or book accommodation and eat breakfast and dinner in town so you can carry a much lighter day pack with just water, lunch and your clothes. 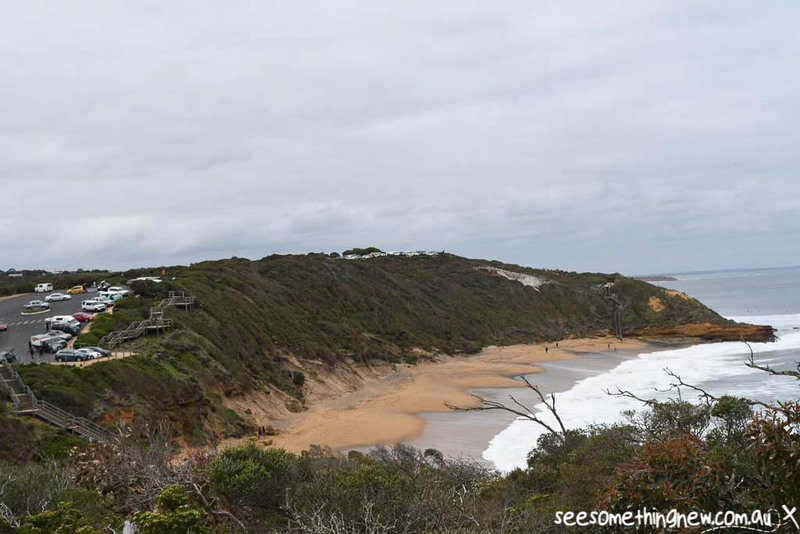 We opted to walk the 11.4km combination of sections 5 and 4, starting at Point Addis and walking along the Iron Bark Track to Bells Beach then onto Bird Rock (theres nothing like the incentive of a beer to get you up a hill)! 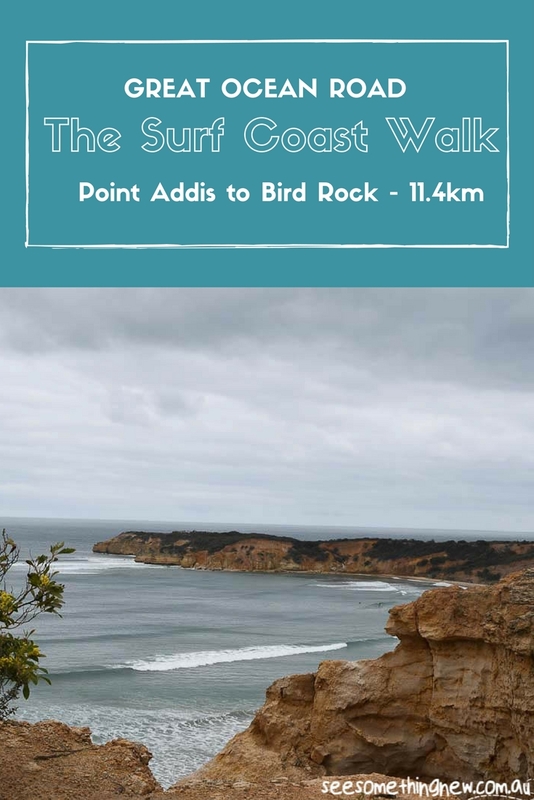 To walk this section of the Surf Coast Walk, park at the Point Addis (Addiscott Beach) carpark which is a short 10 minute drive from Torquay. The carpark is on the right about 400 metres before the end of the Point Addis Road. We pre-organised someone to drop us back at the car when we finished the walk. I would suggest taking the official printed map with you as there are a few points in the walk where the signage is a little unclear if you don’t know where your aiming for. Starting from the carpark at the Point Addis stairs you follow the signs for the Great Ocean Walk (Iron Bark Track) and the Koori Cultural walk which share the same track for the first few km’s of the walk. 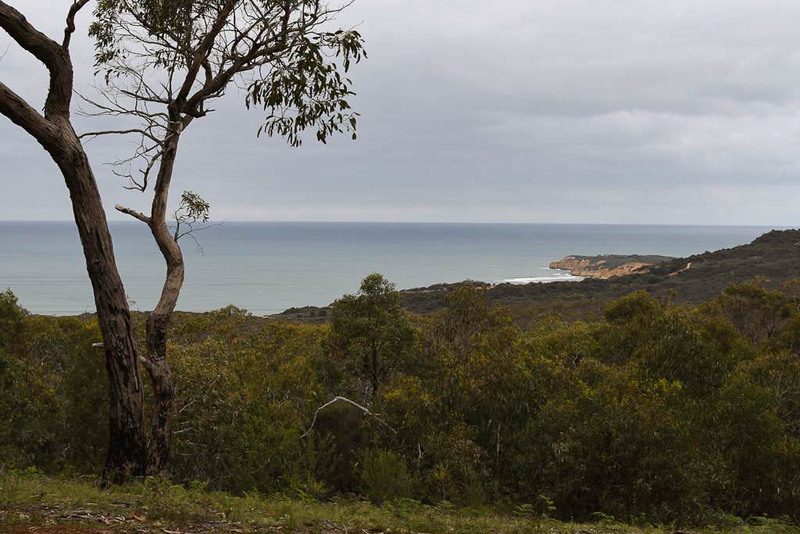 The scenery at the lookouts for the first few km’s is nothing short of spectacular with wide views over the full length of the Point Addis Beach. 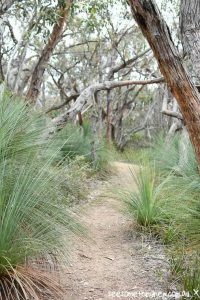 The track slowly undulates up and over the saddles and in and out from the cliffs to make sure you hike through the bush as well as intermittent stops at beach view lookouts. From the end of the beach the track curves inland through Iron Bark Forest and you work you way uphill on a long gradual climb (with a few steeper sections) as you climb all the way out of the point. At the top of the hill the vegetation opens up again and you look out over the ocean from afar. Your reward for walking to the top of the hill! At this point the track widens and flattens out and skirts along the back of some enviable beach view houses through a section I dub ‘Million Dollar Row’. 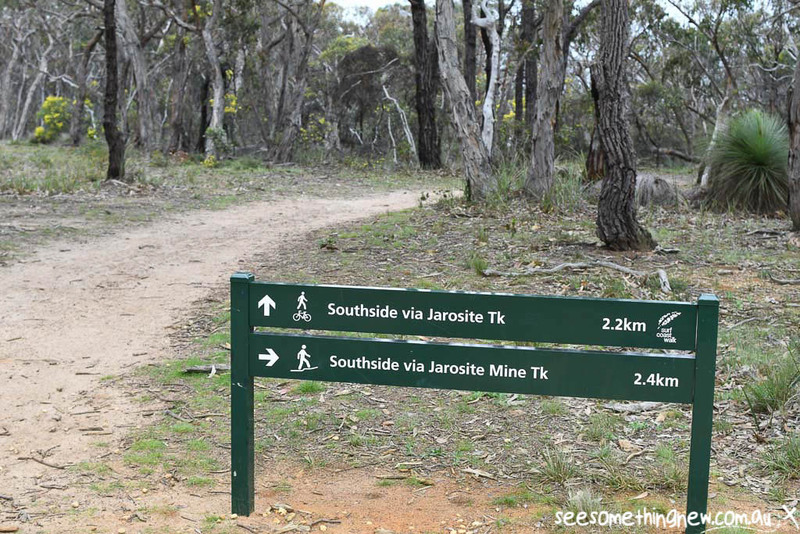 From here you can choose from two different tracks (we went along the Jarosite Mine Track) and continue through the bush to Southside and the famous Bells Beach. Spend some time exploring the beach and if the surf is pumping you never know who you may spot in the water! From here you walk to the end of the carpark and then the track continues for another 3.2km along a nice wide gravel path. This last 3.2km is a nice easy walk with spectacular ocean views for its entire length. Finally, after all your hard work, cross the road to Jan Juc’s Bird Rock Cafe, a local favourite, and enjoy a well earned beer at one of their outdoor tables! 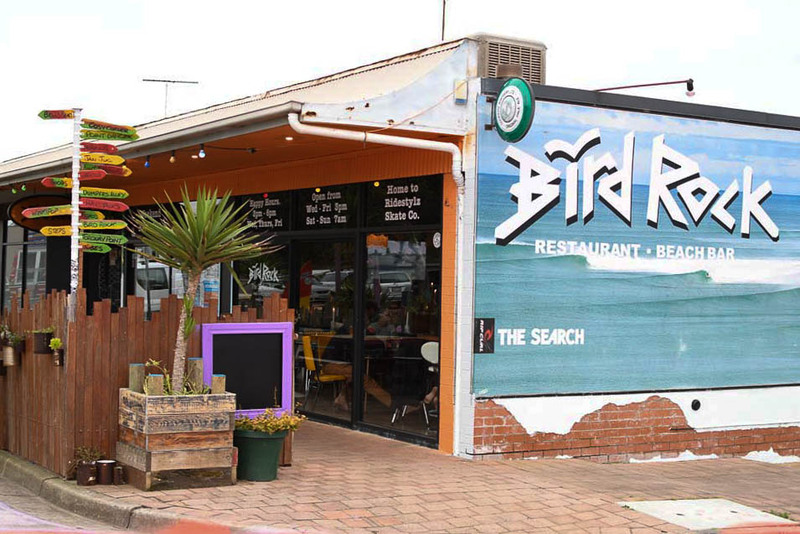 Bird Rock Cafe is a popular local bar and the perfect place for an end of walk beer! IMPORTANT: Before walking always check official state or local government websites for up to date information on track conditions, changes and safety. This blog is for inspiration only and is not a substitute for up to date official information. Getting there: The walk is accessible from Torquay (80 minutes from Melbourne) and at other spots along the Great Ocean Road. Tip: Take your wallet for a beer and meal at bird rock cafe to finish the walk. In summer don’t forget your bathers for a swim at the nearby Jan Juc Beach! 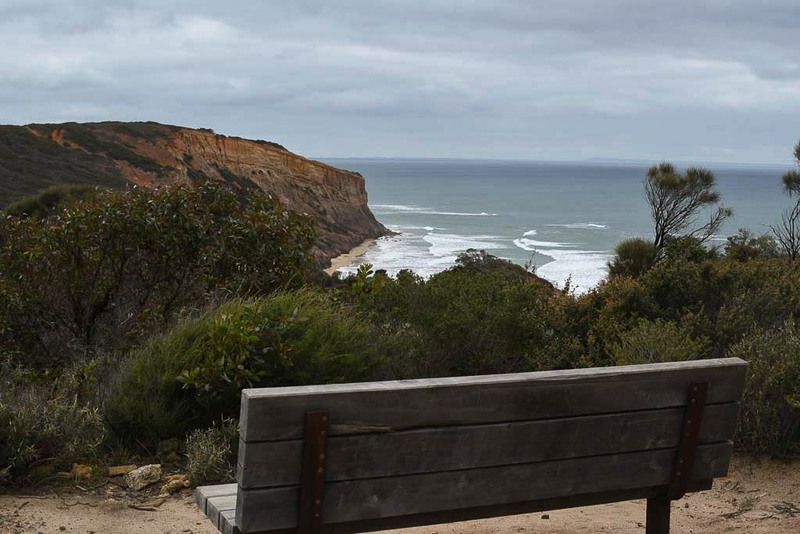 Accommodation: Make a weekend of it with accommodation available in nearby Torquay, Anglesea or Aireys Inlet. Save for your holiday and share with others – PIN ME!